Buffalo Wild Wings is the fastest-growing casual dining restaurant in America. The chain’s sales soared 6% in the third quarter despite widespread troubles in the casual dining sector. Executives are planning a myriad of changes to get customers to come more often, stay at the restaurant longer, and spend more money. 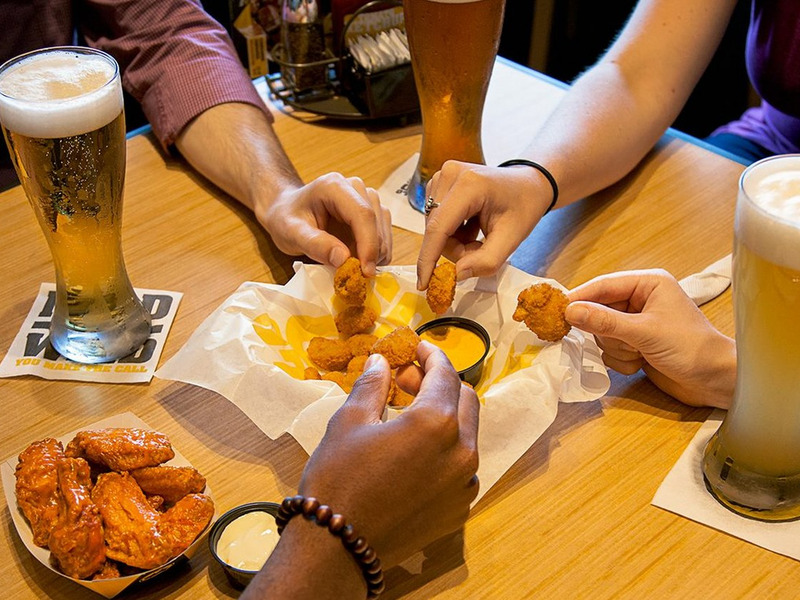 Buffalo Wild Wings recently shared its plan with UBS for a recent report. Here’s what will be different going forward. 1. Lots of tablet features. Buffalo Wild Wings already has trivia and games on its tablets. Starting next year, the company will let customers order using the devices. This will eliminate the chance that a customer’s order will be misheard in the noisy sports bar. It also creates a more efficient system in the kitchen. The company is also adding options to pay for games and music. UBS also notes that Buffalo Wild Wings is working on letting customers pay from the tablet. 2. Equipping servers with handheld devices. Giving servers electronic devices will help them better communicate with customers and the kitchen. It could also expedite the payment process — servers could theoretically swipe the cards tableside, rather than going to a machine and back. Buffalo Wild Wings is working on implementing a loyalty program, but there are few details right now. Buffalo Wild Wings is looking into implementing technology that would allow a person to stream any game of their choice and listen using headphones, according to UBS. This could make the viewing experience more enjoyable during loud, busy times. The restaurant chain is developing order-ahead technology. This would enable fast pick-up and would be especially compelling for lunchtime customers who are in a hurry. 6. More sauces and beer. The company’s Sauce Lab has been a “tremendous success,” the UBS analysts write. Buffalo Wild Wings releases new chicken wing sauces 7 times a year in flavours like Korean BBQ and Chipotle Cherry Sting. Many of the special flavours have sold out. Management is also capitalising on the craft beer trend and adding regional taps to the menu.